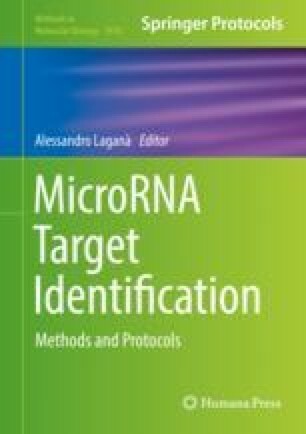 This chapter is devoted to illustrate the usage of state-of-the-art methodologies for miRNA regulatory network construction and analysis. Advantages in understanding the role of miRNAs in regulating gene expression are increasing the possibility of developing targeted therapies and drugs. This new possibility can be exploited by gaining new knowledge through analyzing interactions between a specific miRNA and a targeted gene.